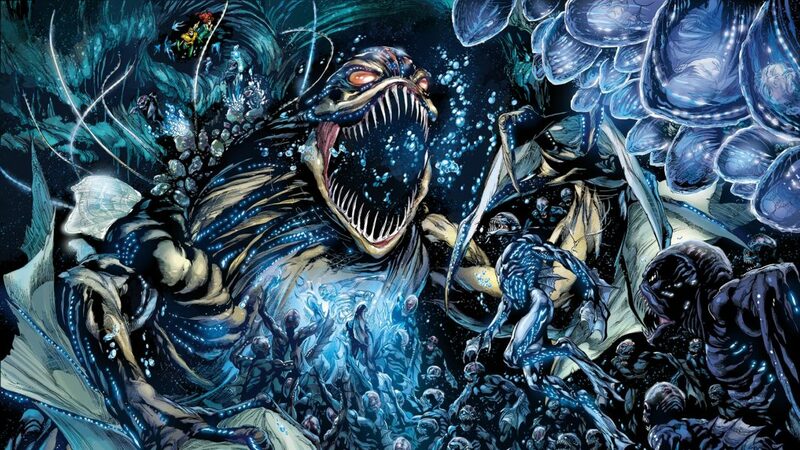 Who knows what evil lurks in the depth of the ocean – The Trench may be coming for you! Aquaman has made over a billion dollars in the worldwide box office. 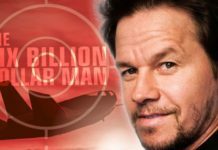 While one suspects that this prodigious amount of money would ensure a sequel, no serious plans have been mentioned as yet. However, according to The Hollywood Reporter, a spin-off horror-tinged movie focused on The Trench is in the works. 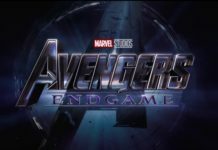 It will be written by newcomers Noah Gardner and Aidan Fitzgerald and produced by James Wan and Peter Safran with a more modest budget than some of the previous DC films. It will not include any of the main cast from the Aquaman film. I also wanted to portray, or rather to capture the tone and feel of the ocean to me. The ocean is big and magical and all of that, but also we’re terrified of the ocean as well. I felt that moment allows me to lean back into my horror roots to do something like that. 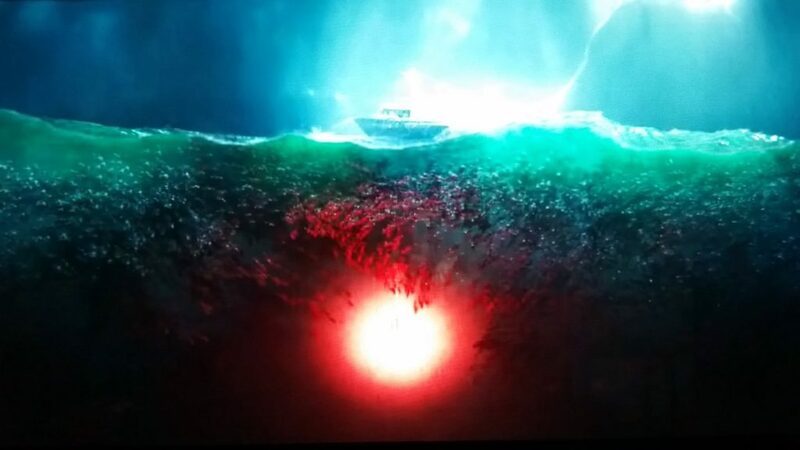 And ultimately it allows me to really showcase one of my signature shot designs of the film which is a cross-section of the ocean. And you get to see what’s above the surface and what’s below the surface. That was one of the first images I came up with during pre-production, which is Arthur and Mera swimming down, with a cross-section of the ocean. It’s a big wide shot, and we just see them swarmed, surrounded by the Trench creatures. And the only thing that’s holding them back is this flare, the bubble, within the safety of the flare light. So I just thought from a visual standpoint it was something that was very captivating. When DC rebooted its continuity with The New 52, The Trench were introduced by Geoff Johns in Aquaman #1. Their ravenous nature may be due to the fact that their metabolism requires them to consume 20-30 times their own weight in food to survive. 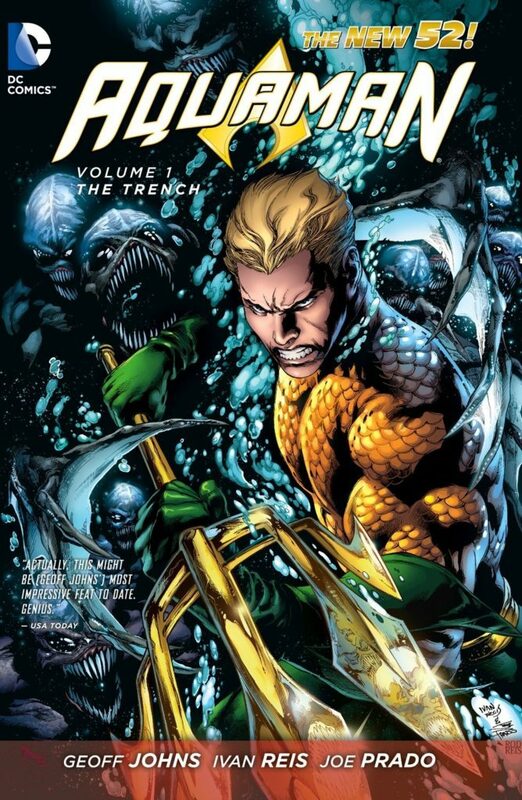 The Trench also appeared in the animated film Justice League: Throne of Atlantis and very briefly in the video game Injustice 2. So until we find out what is up with The Trench, maybe it’s best to stay out of the water! Are you excited to see a horror spin off? Tell us in the comments!